An original song cycle and entertaining vision of womanhood, touched with comedy, tragedy, and emotional insight. Running through March 7th at The Complex in Hollywood. Featuring performances by SD actors Emily Clark, Danielle Wallius, and Quinn Gearheart, plus Katrina Rennells, SD’s 2nd Unit Director/Art Director. More of our actors are working behind the scenes in this show as well, including Amy Bartlett (Assistant Director), Meghan Allison (Choreographer), Kate Purnell (Production Assistant), and our Production Coordinator Cody Clark (Stage Manager). Tom Stoppard’s classic existential comedy about Hamlet’s two ill-fated school chums and their terrifyingly unclear meaning in life. 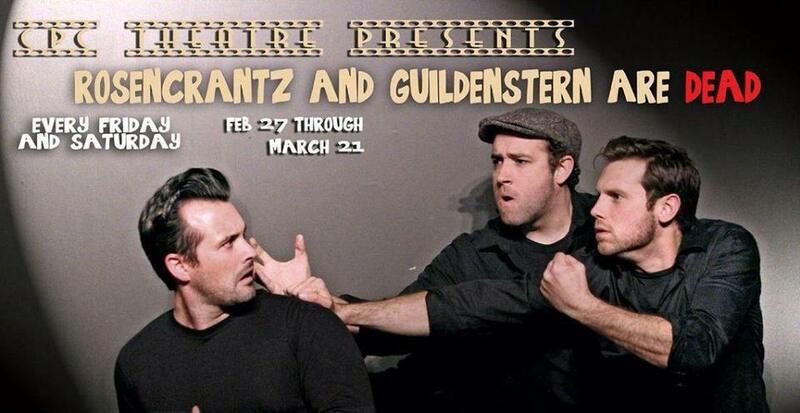 Running through March 21 at the Barn Acting Studio in LA. Featuring performances by our very own Meghan Allison and Andy Kenareki! The show that inspired our web series is coming back to NYC! 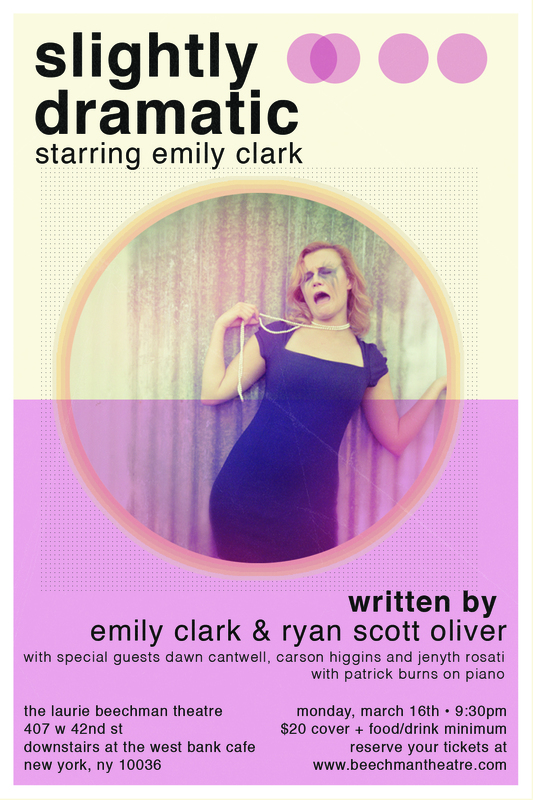 Featuring a book co-written by Ryan Scott Oliver (Jasper in Deadland, 35MM), Emily Clark will bring you true-to-life tales about dead dogs, mean girls, bipolar boyfriends, and Bernadette Peters. This show has something for everyone…if you’re a Broadway geek, or a gay man, or lived through the 90’s. Or all of the above. Monday, March 16th, 9:30pm at the Laurie Beechman Theatre in NYC.